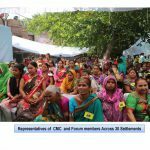 For the last one year Community Management Committee (CMC), Mahila Pragati Manch (MPM) and Centre for Advocacy and Research (CFAR) and Delhi Urban Shelter Improvement Board (DUSIB) have partnered to strengthen community engagement in bettering urban sanitation in clusters and poorer settlements of Delhi. Affirming this, Mr.S.K.Mahajan, Senior Engineer, DUSIB, said when we met him, “Given the commitment and zeal of the community, we need to make an effort to match it and work together to solve all the problems collectively’’. Mr Atique Ahmad, Additional Commissioner, EDMC, stated, ’’Sanitation is not a stand alone issue which can be solved by any one stakeholder. This is an issue in which each one has to do their bit -community, officials, workers, NGOs, government and citizens’’. This partnership got further strengthened through the week-long Swachhta hi Sewa Pakhwada, from September 15 through October 2, 2017, announced by the government. 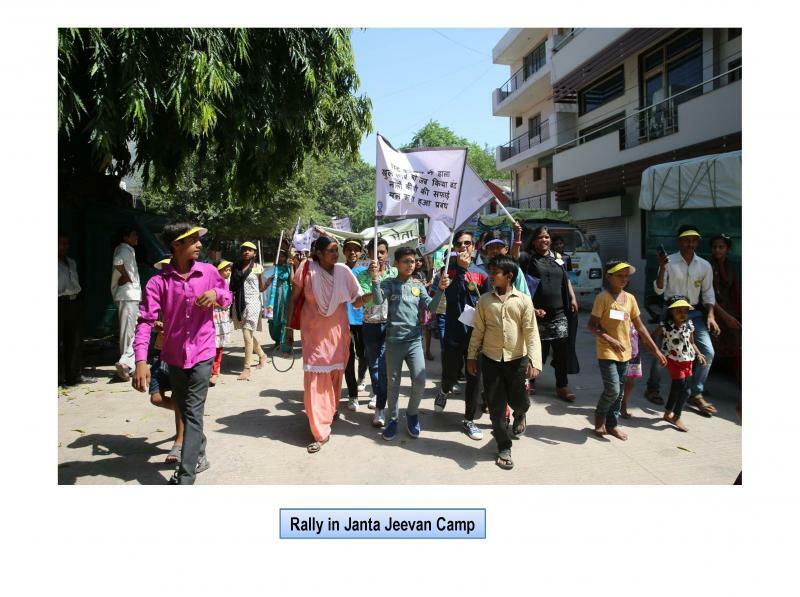 During this fortnight a series of consciousness raising initiatives-Swachhata rallies, sanitation drives, knowledge camps and nukkad nataks were conducted across nine settlements to motivate community to take collective initiatives to improve and manage sanitation services from the household to the city level. 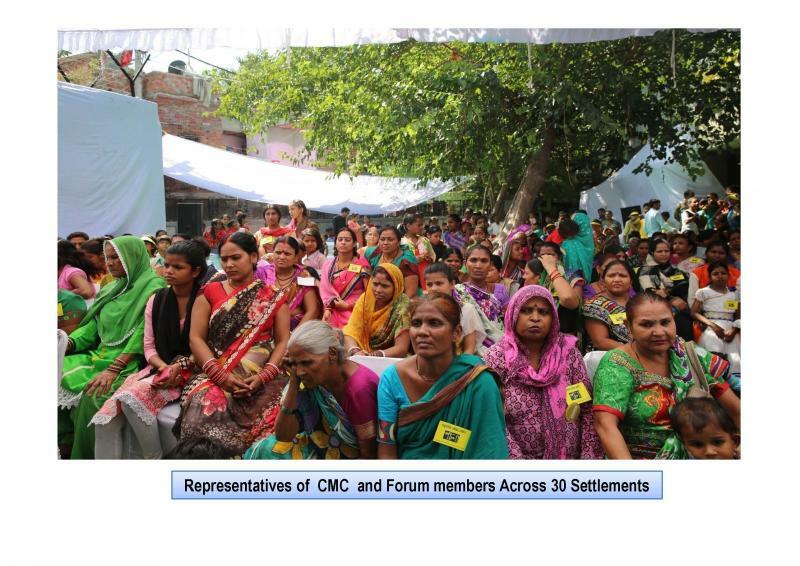 On October 2, 2017, a joint ceremony was hosted at Janta Jeewan Camp, Okhla to commemorate the culmination of the Pakhwada, attended by 275 CMC and forum members across thirty settlements, including women, men and young people. 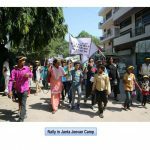 The event started with a rally across the settlement in which slogans of ‘’Pehle mal niptaan ka iradaa, phir shauchalaya banane ka vaada’’, ‘’Mal niptaan zaruri hai, beemari se doori hai’’, ‘’Geele se tum khaad bana lo, sukhe se paise kama lo’’, ‘’Waste kudedaan mein, na naali na maidaan mein’’ were raised.